Scale and gut the fish, leaving the fins and tail intact. 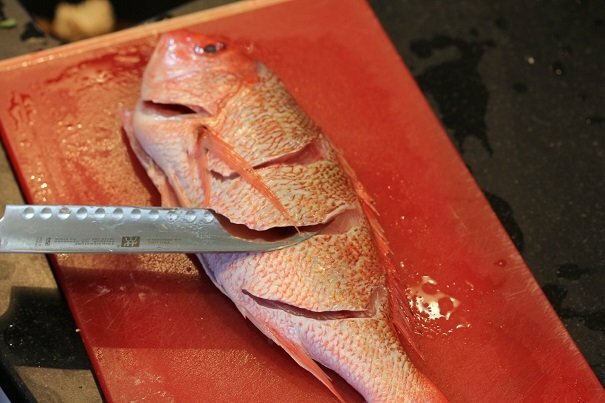 Make 3 parallel, slanted cuts in the sides of the fish, making the cuts in the direction of tail to head. 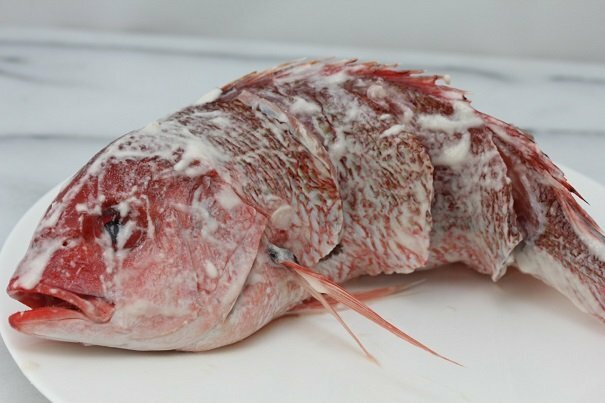 Do not cut through the bones of the fish. Whisk together batter ingredients to form a wet paste and dredge fish with the batter. It will be very light, and will look like partially whipped eggwhites. Heat oil to medium high heat in a deep pan. 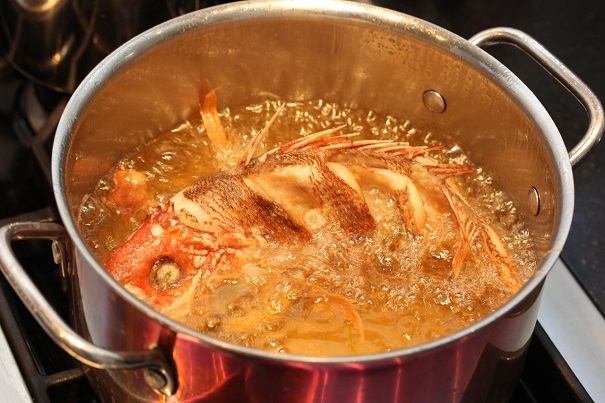 When oil is almost smoking, put in the fish, making sure that it is sitting on its stomach, as if it were swimming. Fry until golden brown, about 15 minutes. Heat 3 tablespoons of oil in a wok or deep frying pan. Add onion and cook until translucent, about five minutes. 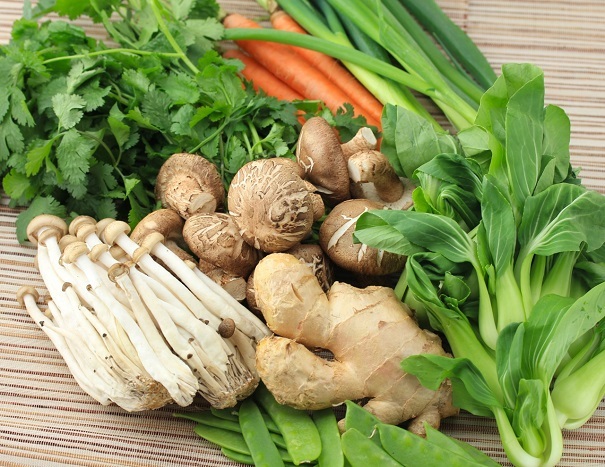 Add mushrooms and carrots and cook for 2 minutes. Add chicken stock and cook until carrots are soft. Add bok choy and string onions and cook for one minute. Add cornstarch to thicken mixture. 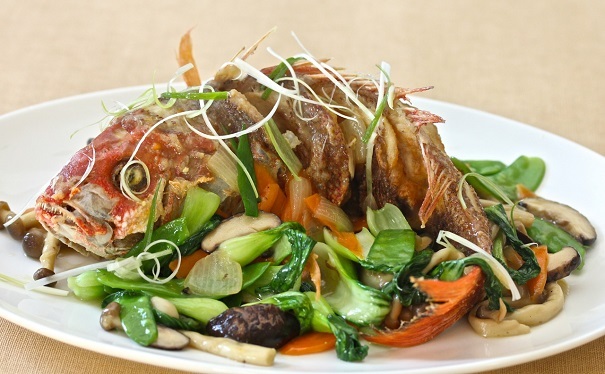 To serve, place the fish on a platter and surround it with the vegetables.